Many patients who need extensive restorative or cosmetic dental treatment in Ireland are put off by prohibitively high costs. In recent years, an increasing number of patients have opted to travel overseas for dental treatment, but this too can make patients understandably nervous. Will the quality of treatment be as good? Will I be looked after adequately after treatment? Is there any aftercare if I get home and feel something isn't as it should be? These are just some of the questions patients find themselves asking. 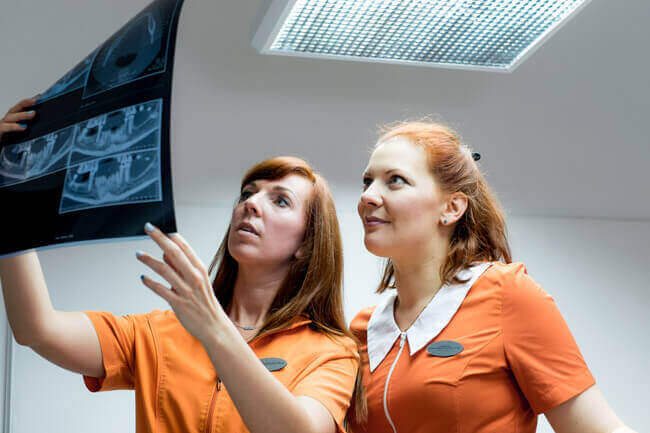 Many overseas dental providers are agents or brokers, who can set you up with a dental clinic in another country, but who do not provide aftercare to back things up if something does go wrong. Access Smile are different. We carry out initial consultations at our clinic in Rathgar, Dublin while our treatments can be carried out by expert teams at any of the locations (Dublin or Budapest) giving you the opportunity to plan your travel flexibly and cut down on the number of journeys, shorten the length of the trips. Unlike other overseas dental brokers, our Budapest clinic is wholly owned and managed by Access Smile, using the highest-quality equipment and latest techniques, and enabling us to provide a unique level of aftercare and support, unsurpassed and beyond that of any other dental practice we know in Hungary. All of your treatment comes with a full guarantee for the work you have done, which is clearly explained in your comprehensive plain English quotation. This means that in the unlikely event of anything going wrong, we will put it right at no extra cost. Step 1 – Quote for dental treatment. First you'll need an idea of costs. If you have been quoted for treatment by another dentist, you can give us these details over the phone or via our online form, and we will quote you like for like. You can also send us a recent panoramic X-ray, and we can send you a quote based on that and your requirements. 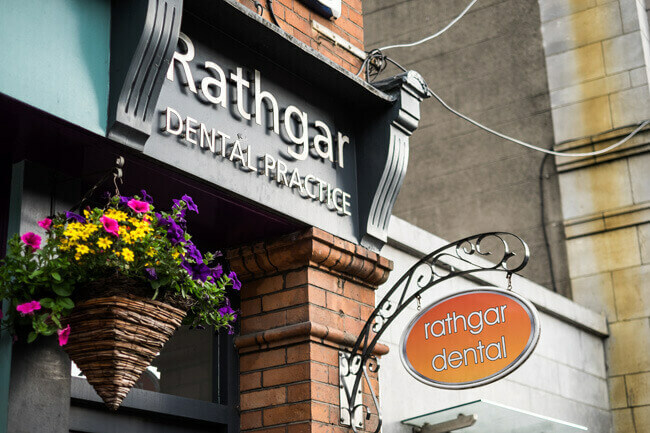 Or, you can visit one of our expert team at Rathgar Dental who will assess you and provide you with a quote for treatment. Step 2 – Choose the best treatment for you. After your consultation, we will provide you with a treatment plan that includes all of your options. There are many different options available to help you achieve the smile of your dreams, and we will work with you to find the perfect plan for you. Step 3 – Get ready to travel. Our Customer Support Team will help you to arrange your flights, book your accommodation (we offer wide range of Hotels, Apartments B&Bs) and one of our Representatives will drive you from the airport to the clinic or hotel in Budapest and take you to all your appointments in the clinic and back to your accommodation. 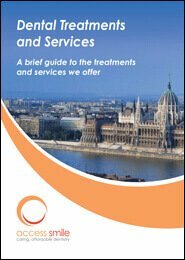 You will be treated by our expert team in Hungary, using the highest-quality materials and latest techniques, and will be fully covered by our guarantee, which covers all work needed in the unlikely event of a reaction to treatment. You will also benefit from aftercare check-ups at our Dublin clinic.